As a special educator, administrator, and parent of a person with a disability I am honored, humbled, and excited to partner with you as we move the work of OSEP forward. During my first few weeks on the job, I have had the opportunity to experience personally what I have been observing from the field for many years. First, the OSEP staff are visionary, passionate, and have vast knowledge and an unwavering commitment to improved outcomes for infants, toddlers, children, and youth with disabilities. Second, that knowledge and commitment is matched by those of you working in the field. You, our key stakeholders and caregivers of children with disabilities, are on the front lines working to ensure that nothing limits any child with a disability from being prepared for what comes next. Over the next few months, I plan to build on OSERS’/OSEP’s commitment to rethink special education. I’ve started meeting with external partners, and I’ll share with you what I’ve shared with them. We are at a critical point on this journey of continuous improvement. OSEP has taken steps to align our systems and will continue to focus on implementing the requirements of the IDEA and improving results for students with disabilities. Another priority area will be the teacher shortage. We must have highly effective staff that can deliver the specially designed instruction needed to improve results. OSEP will continue to support states in their work and provide states flexibility, within the constructs of the law, in implementing their programs and improving outcomes for children with disabilities and their families. OSEP will partner with anyone and everyone who is focused on raising expectations and improving outcomes for children with disabilities. I am excited to lead OSEP and look forward to our partnership! The 2018 Part B and Part C Indicator Analysis documents are now available on GRADS 360°. The Indicator Analysis documents provide an indicator-by-indicator look at the SPP/APR across all states. In addition, the Part B and Part C SPP/APR packages for the FY2017 submission, due Feb. 1, 2019, are now available. OSEP’s Dec. 13, 2018 national technical assistance call will focus on the upcoming SSIP submission (Phase III, Year 3). OSEP will answer some frequently asked questions and provide writing tips and helpful hints. The proposed EDFacts information collection package for SY 2019--20, 2020--21, and 2021--22 is now available for review and public comment on Regulations.gov. 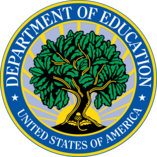 EDFacts collects data on behalf of U.S. Department of Education (ED) grant and program offices. The proposed package includes pre-kindergarten through grade 12 performance data about students, schools, staff, services, and educational outcomes at the state, district, and school levels. Approximately 160 data groups are included in the proposed package, and respondents include all 50 states, Washington, D.C., Puerto Rico, outlying areas and freely associated states, the Department of Defense Education Activity (DoDEA), and the Bureau of Indian Education (BIE). All related documents are found at this link. Comments in response to this notice must be submitted electronically through the COMMENT button on Regulations.gov. We encourage you to widely share this announcement with all stakeholders. The public comment period closes on Jan. 7, 2019. A team of OSEP-funded Parent Centers recently curated a collection of web-based resources on trauma-informed care. Many of the resources are available in Spanish and other languages. The OSEP-funded National Center on Accessible Educational Materials has developed two resources to help educators with accessible educational materials (AEM). The first, Navigating AEM, is a tool that outlines questions states, districts, and schools should ask before purchasing educational materials to determine if they are accessible. The second, Creating AEM, helps educators who are designing their own learning materials to ensure that they are accessible. Both resources outline the four POUR (perceivable, operable, understandable and robust) accessibility guidelines, in educator-friendly language, that can be used to ensure accessible materials and resources are available for their students. The Office of Special Education and Rehabilitative Services (OSERS) and the Office of Elementary and Secondary Education (OESE) held a convening in Boston on Oct. 18 and 19 to help states work with local educational agencies (LEAs) in meeting the requirements in the Elementary and Secondary Education Act (ESEA), as amended by the Every Student Succeeds Act (ESSA). These requirements are related to participation in the alternate assessments for students with the most significant cognitive disabilities, often referred to as the "1 percent cap." The convening was led by the National Center on Educational Outcomes (NCEO), in partnership with other ED-funded TA Centers, OSERS’ Office of Special Education Programs, and OESE’s Office of State Support. Through a facilitated and collaborative process, the convening provided technical assistance to 47 states and the Bureau of Indian Education (BIE) in meeting the statutory and regulatory requirements. All attendees left with an action plan to take back to their state teams to further refine their plans for implementing the 1 percent state-level cap. One hundred and nineteen state representatives completed the meeting evaluation and provided positive ratings on questions measuring quality, usefulness, and relevance. On average, more than 90 percent of the ratings were in the “High” or “Very High” rating category. For additional information, visit https://nceo.info/Resources/presentations, to view PowerPoint presentations from the convening and related materials. Sommer works closely with the district’s substantial English learner population. She has almost 15 years of teaching experience and has been passionate about teaching for as long as she remembers. She shared with us how working with English learner students and those with disabilities has impacted her as a teacher and an individual. OSS and OSEP look forward to hosting state directors at the upcoming Combined Federal Programs Meeting in Washington, DC. Participants will include state directors of Title I, Title II, Title III, School Improvement, Foster Care, Assessment, and IDEA programs. States were invited to send teams with representation across federal programs to promote the discussion and alignment of ESSA implementation across federal programs. The conference agenda includes time for program-specific sessions, policy updates, sharing new resources, and progress checks with OSS and OSEP staff. The extended Part C option is in the IDEA regulations was designed to provide states with the flexibility to allow toddlers who would be eligible to receive services under Part B Section 619 to remain in early intervention after age 3. In an encore presentation from the 2018 Improving Data Improving Outcomes conference, Washington, D.C. and Maryland will share their rationale for deciding to use the option and their implementation approaches. The webinar will be held from 3-4 p.m. PM EST. Register at this link. The movement of children and their families from Part C early intervention to Section 619 early childhood special education services should occur as smoothly as possible. In an encore presentation from the 2018 Improving Data Improving Outcomes conference, two states will present on this topic. Missouri will share policies and processes for addressing summer birthdays. 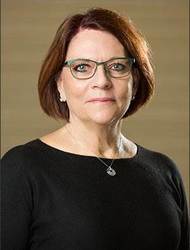 New Mexico will describe its state and local infrastructure for coordination and strategies such as local agreements, transition teams and transition coaches. The webinar will be held from 3-4 p.m. EST. Register at this link.